Larry Niven began his writing career in the 1960s at a time when manyyounger SF writers were being seduced by the NEW WAVE movement and its emphasis on the SOFT sciences such as psychology and sociology. But Niven saw from the very beginning that his type of SF just wouldn't fit this mould. His was the new HARD SF, the scientifically based SPACE OPERA that had dominant elements of both solid scientific speculation and high adventure. Niven published his first novel, World of Ptaws, in 1966. It was to form the beginning of his vast FUTURE HISTORY, which he himself has named the Tales of Known Space sequence. This sequence encompassed nearly all of Niven's work for the first decade of his writing career, and describes a galaxy teeming with various forms of advanced ALIEN life, some of whom are at odds with the human race while others go out of their way to protect humanity. Indeed, in the later Protector (1973), Niven describes how an alien travels from across the galaxy to protect our race from its own highly evolved species who see us as a form of primitive vermin - in actual fact, a larval form of themselves, as the Pak are a transcendent race derived from the same stock as humanity. World of Ptavvs itself steps back in time from the events of Protector and details the havoc that is set loose when a group of humans release an alien Thrint from its captivity in a stasis field. This Thrint is the last of its kind, the Thrintun, a deadly race from the darkest depths of history thought to have been extinct for millennia. The consequences of its release are terrifying. 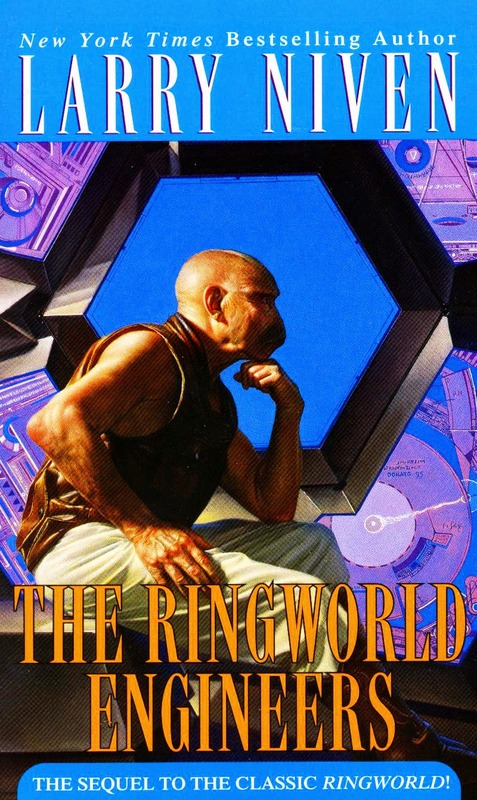 Other books and short story-collections followed, but the series reaches its peak in the wonderful Ringworld (1970), the book for which Niven remains best known. Ringworld describes in loving detail a vast alien artefact that is found circling a distant star. This artefact represents one segment of a DYSON SPHERE, an ARTIFICIAL ENVIRONMENT built by the ancient Pak to house a variety of people and races. The humans and their dubious alien allies, the Puppeteers, set about exploring. It is the SENSE OF WONDER that Niven imparts to the reader in Ringworld that makes it such a triumph. The novel shows Niven to be a re-inventor of traditional SF and it remains one of the best of its type. Two direct sequels followed Ringworld, Ringworld Engineers (1979) and Ringworld Throne (1996). Other novels and stories in the sequence followed, but Niven had already branched out into other areas of SF. The Mote in God's Eye (1974) saw the start of Niven's long series of collaborations with fellow author Jerry Pournelle. It is a true collaborative effort, and describes in big Space Opera terms the first encounter between a human empire and an alien species. The book is massive in every sense and while there are some dubious POLITICS involved and the characterization leaves something to be desired it remains a highly enjoyable read. Further collaborations with Pournelle and others have made up much of Niven's output since the late 1970s. The Legacy of Heorot (1987, with Jerry Pournelle and Steven Barnes) is probably the best of these, a DYSTOPIAN novel set on a hostile alien planet. Later Niven 'singletons' such as the recent Rainbow Mars (1999) have so far failed to recapture the power and complexity of the Tales of Known Space sequence which remains one of the most epic, ambitious and adventurous SF series to appear since ROBERT HEINLEIN developed the Future History concept in the 1930s.